We recently completed a new truck graphic layout for a long-term customer, Mark, with SolidCold Refrigeration. 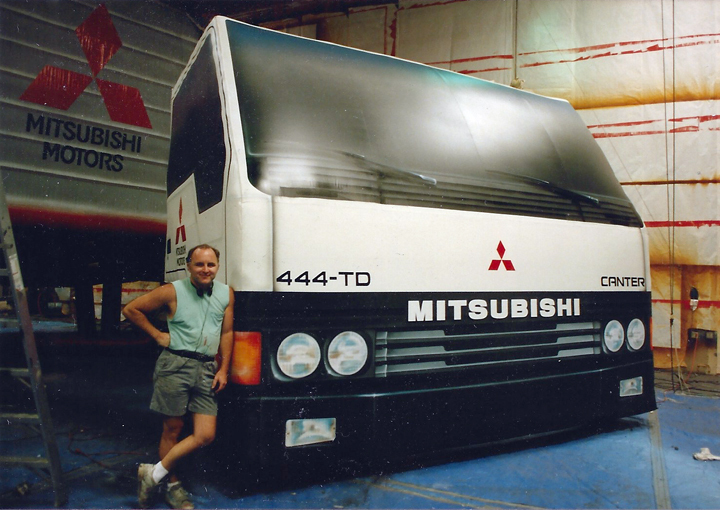 He first came to us in 2003 to do the graphics for his truck with his logo in full color. The process to create his logo then was to use a combination of airbrushing, hand-cutting, and machine cutting on our plotter to get the gradient effect. It was a time consuming process but the end result looked great. Fast forward to today… We now produce all graphics for vehicles and trucks as digital prints on one of our three large format printers. 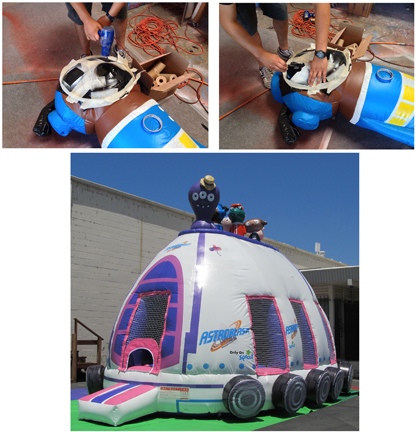 The original design took about 3 – 4 hours to design, airbrush, cut, and prepare for installing whereas the digital printing and lamination took less than an hour. Digital printing allows us to produce full color graphics in the exact same way all the time and it is much faster and cheaper than hand painting and airbrushing. As a business, we have gone from working with up to 15 airbrush artists to now having four graphic artists who can produce so much more with the current technology. This allows us to pass on the savings in both time and money to our customers so they get a better product, consistently. We are always looking for ways to stay up-to-date with the latest technology to help your business look great. Many years ago, when dinosaurs still roamed the earth, I was an airbrush artist at a place called Bigger Than Life. I came across these pics and thought I’d share them. Now we’d digi-print most of this. 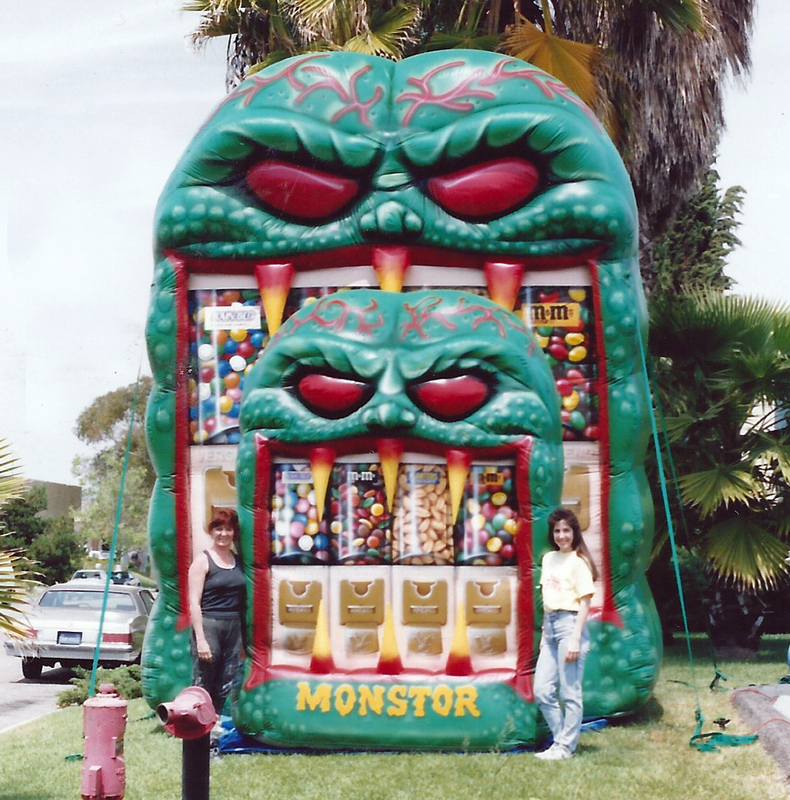 It will produce a more exacting inflatable but in the old days they were works of art. Enjoy! BTW, I’ve been asked and will put together a short video on how to clean an airbrush soon! 70″ tall! I painted the label. Candy dispensers I painted with Sheila, Paulette, and Hai. 18 wheel truck cabin I airbrushed. About 40 hours of art in that! 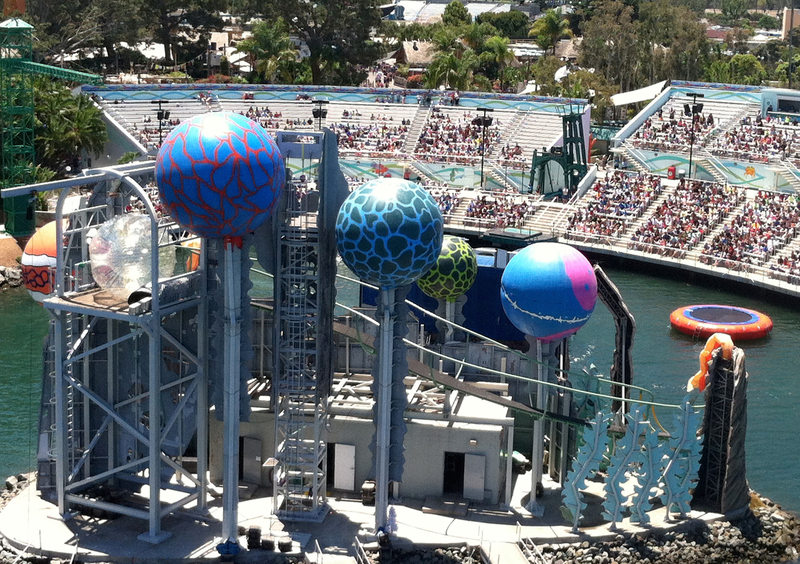 Giant Inflatable Spheres for Sea World! 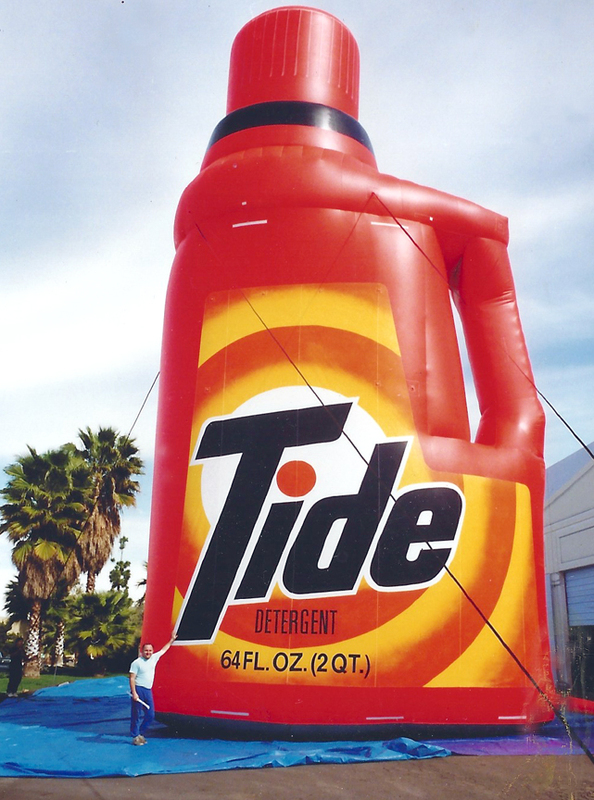 We have been helping Sea World with their props for years. One of our artists Brooke took this photo while riding in the sky tram of these giant inflatable spheres and water trampoline we painted for them. The largest sphere is 25′ in diameter with the smallest being 12′. If you giant attention, give us a call! 619-441-8901. Yes, we still do airbrushed artwork! 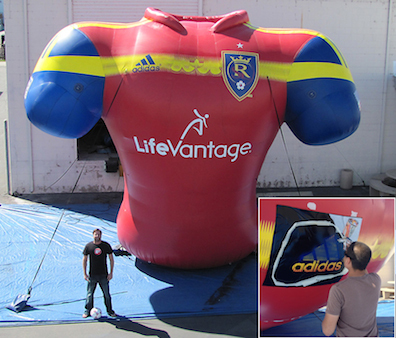 Digital printing has replaced hand painting for the most part in the giant inflatable industry but every once in a while the only way to get the project done is by hand. Here are two examples of a combination of digital printing and airbrushing. Here is a short video on using stencils for art on inflatables or giant balloons or really anything! The technique is the same whatever you would be painting upon. Its really old school compared to our digitally printed banners for retractable banner stands but sometimes its the best way to get the job done.